SBI Clerks Recruitment Eligibility Criteria, Exam Pattern, Selection Process 2019: State Bank of India has released SBI Clerk 2019 notification on April 12, 2019. SBI has invited candidates to fill up Junior Associate (Customer Support & Sales) in clerical cadre in State Bank of India. Candidates willing to apply for the post will have to visit the official site of SBI at sbi.co.in to apply. 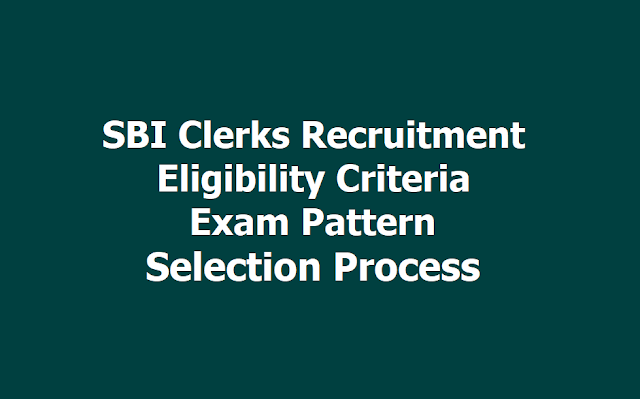 A total of 8904 posts of Clerks will be filled in the organization through this recruitment drive. The last date to apply for the post is till May 3, 2019.